Saracens fight hard to come away with losing bonus point. 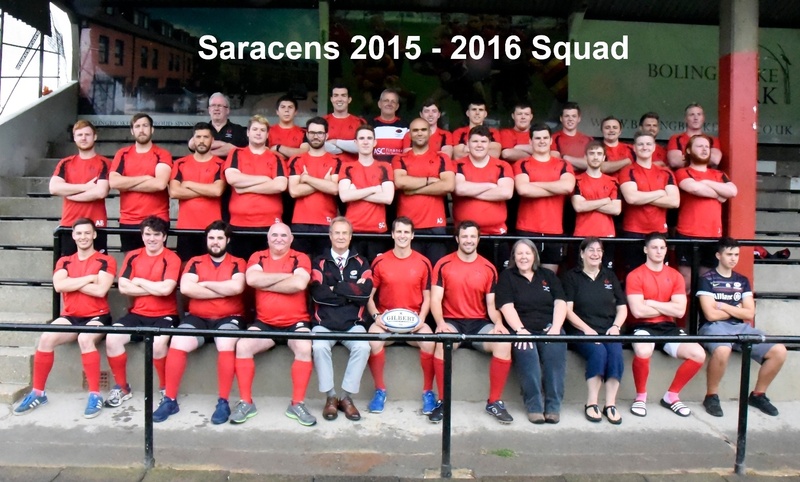 Saracens suffer their first defeat of the season away at Quinton. Arriving at Quinton's ground, it was clear to see that Saracens would have to completely change their expansive way of playing to cater for the pitch, which was the size of an average back garden. The game started evenly, with both teams not giving the other any room to move. With the Quinton fly-half constantly using his right-boot to peg Saracens back in their own half, the first 30 minutes saw a penalty a piece for each side, resulting in an enthralling 3 - 3 score line. However, Quinton were first to strike, using their obviously pre-planned kicking game to peg Saracens back, and finally drive over the line. A reply from the trusty boot of Jack Goldberg, held the score line at 10 - 6 going into the break. After half-time, Saracens struggled to get on the front foot. Still finding it hard to adapt to the conditions, style of play and interesting refereeing, more pressure came from Quinton, resulting in the home side taking their score to 23 points. However, the rest of the match was a testament to Saracens' effort and determination, as they crossed the line twice. Firstly a great forward effort led to Nick Lewis touching down and a neatly worked backs move resulted in Dom Smart rounding his man to dot down in the corner. Jack Goldberg added the extras. A losing bonus point the only highlight of the day. It was great to see the unrivalled effort and determination showed by the boys in difficult circumstances. It's clear that if this is put into the correct areas, then Saracens will be challenging for promotion this year.